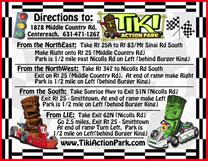 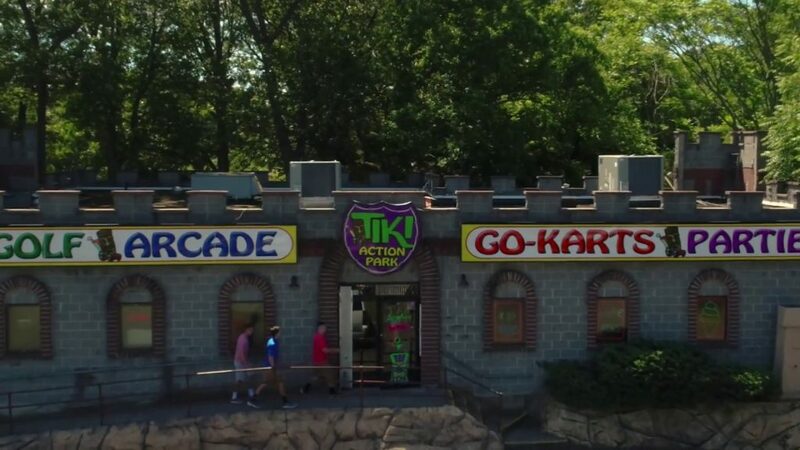 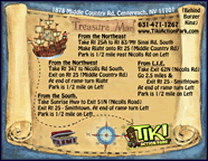 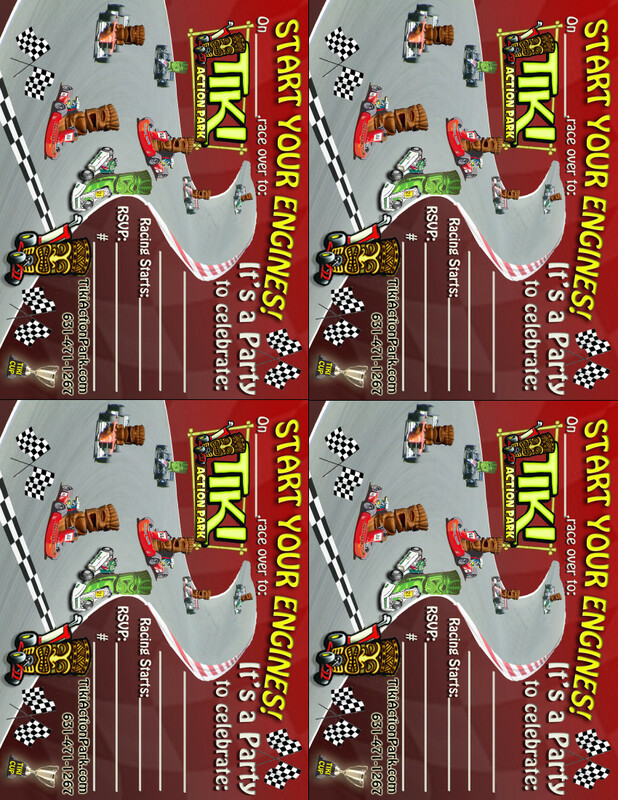 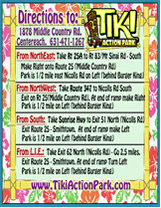 Below are downloadable Tiki Action Park party invitations and direction cards. 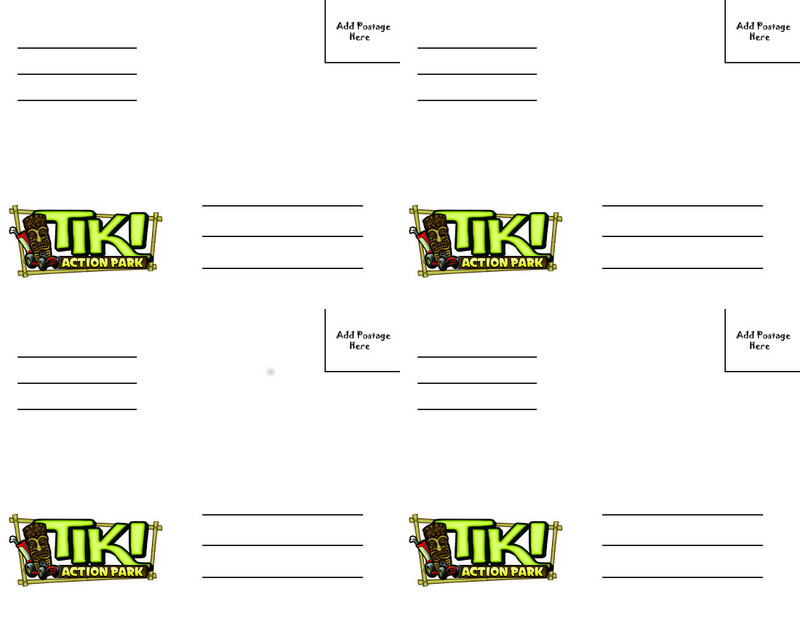 Each file contains 4 invitations or cards on one sheet. 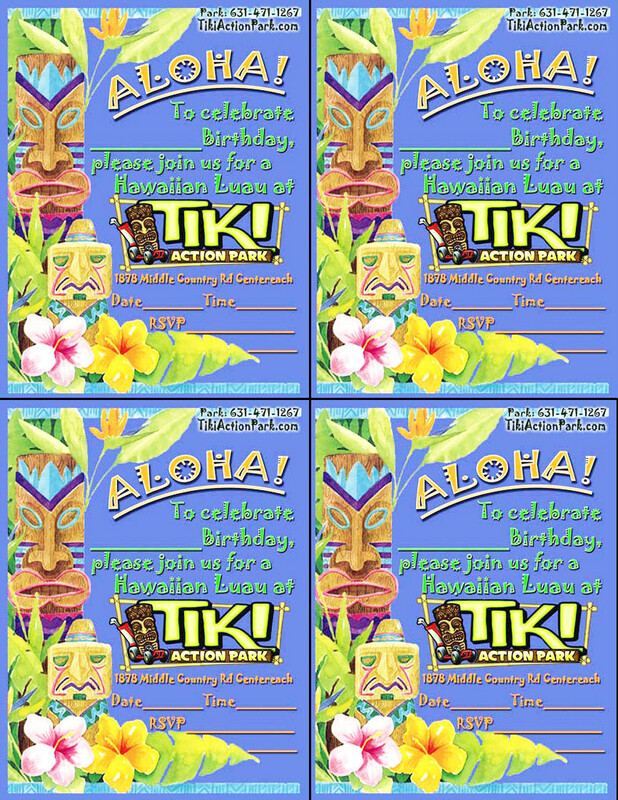 We offer three versions to match your party theme. 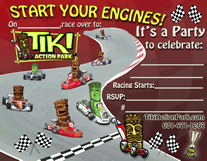 Click on invitation to download the file. 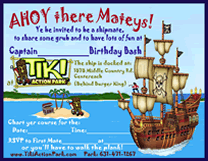 Below you will find options that you can print on the back side of your invitations. 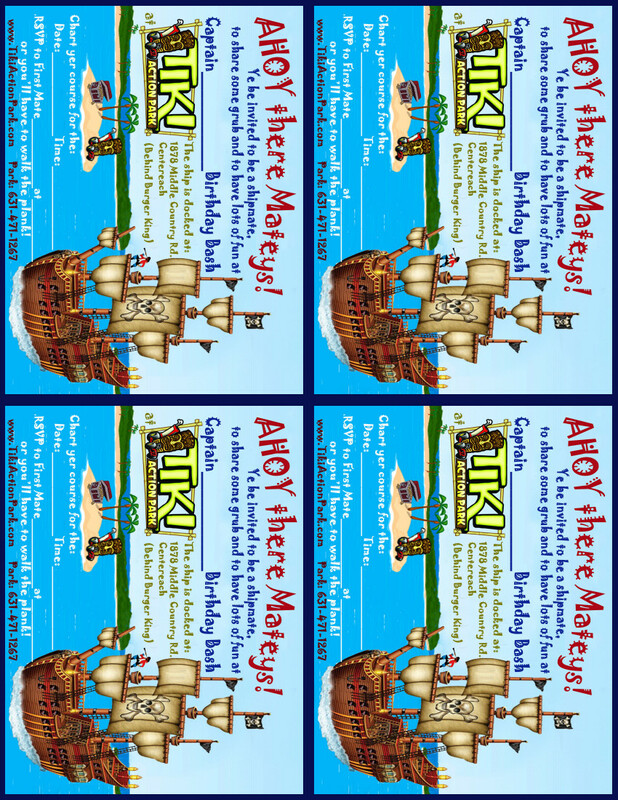 The 3 options with directions correspond to the 3 offered themes*, or if you plan on mailing your invitations you can print the postcard postage backing**. 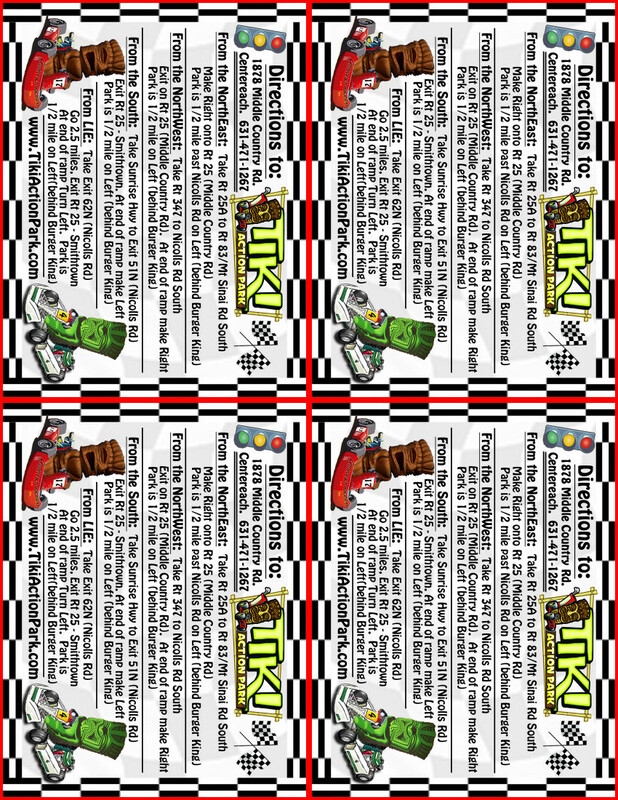 *If choosing to create double sided invitations you should save both a front and a back and follow the directions that come with your printer when printing double sided papers. 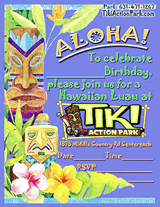 **It is strongly recommended to use card stock paper in your printer if you choose to turn your invitations into post cards. 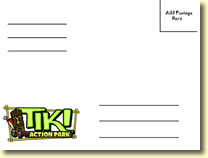 Also, please note that proper postage is required.